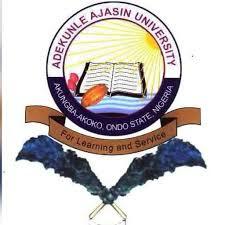 This is to inform all UTME and Direct Entry candidates who applied for admission into Adekunle Ajasin University, Akungba-Akoko, Ondo State for the 2018/2019 academic session that the POST UTME Screening Exercise application form is now on sale. All eligible candidates are to visit the University website, to register for the screening test as from 30th July, 2018 after the payment of N2,000.00 (two thousand naira) only, including bank charges. Candidates eligible for AAUA Post UTME. Those who sat for the 2018/2019 UTME, scored 180 & above and are willing to make Adekunle Ajasin University, Akungba-Akoko their institution of first choice. NOTE: Candidates who did not make Adekunle Ajasin University, Akungba-Akoko, their institution of first choice initially, but are willing to choose AAUA, should make the necessary change of Institution on JAMB CAPS to AAUA not later than 9th September, 2018. How to Apply for AAUA Post UTME Screening. Please note that the candidates UTME Registration Number and the Full Names (as it is on JAMB Slip) should be correctly provided at the point of payment and registration. Candidates are to obtain a print-out containing the RRR number from the Bank upon payment of N2,000.00 only. After successful payment, candidates are to return to the University portal to complete Biodata Form online and print out Examination Slip. Candidates are advised to correctly upload their OLevel results and current passport photographs on the portal. A maximum of two (2) sittings is allowed in the case of O’Level requirements. The image format for the passport is JPEG and must not exceed 50kb. The passport photograph must be clean and clear without glasses and cap/head tie. AAUA accepts WAEC, NECO and NABTEB OLevel results. Candidates awaiting OLevel results may also apply. Candidates are to click on Admission requirements to check on UTME and OLevel requirements for their course of choice. Candidates are advised to read the OLevel requirements of their courses and select the right FIVE subject combinations for their courses, which must include credit passes in English Language and Mathematics. Candidates who did not comply with the UTME subject/OLevel requirements are requested to change to the appropriate course on JAMB CAPS in order to be considered for admission. Candidates should ensure that the on-line form is carefully completed, following ALL necessary instructions, as mistake(s) may be seen as misrepresentation/falsification of documents, which shall lead to disqualification. Candidates are then to print-out evidence of completion of transaction and keep for future reference. Cell phones and other electronic devices are not allowed at the venue of the screening exercise. Candidates are to arrive at the screening venue an hour before the commencement of the exercise. It is compulsory for all candidates to participate in the screening exercise to enable them to be considered for admission by the University. AAUA Post UTME screening test commences on Monday, 3rd September, 2018, and the date for each candidate will be communicated through his/her e-mail address and sms. Candidates are to reprint their examination slips after the receipt of the sms or e-mail notification. Candidates are, therefore, advised to provide valid and active email addresses and phone numbers (without DND). The University will not take responsibility for failure to get information as a result of invalid email addresses and functional phone numbers..